Clippers looking for full-reboot - is Blake Griffin a Celtics option? The question for Danny Ainge right now is how much tinkering does this Celtics team need? Do they play this thing conservatively and hope a 75 percent Gordon Hayward is enough to help them through the playoffs, or do they go for broke now? When Ainge is this close to a title, he usually doesn’t mess around – and that’s why if he thinks the Celtics are a slight upgrade away from legitimately being able to compete with Golden State (who remain the benchmark), he will not be afraid to make a blockbuster. So with that said, would the Celtics look at trading for Clippers star forward Blake Griffin at the NBA trade deadline? First of all, to make this deal work, Celtics center, Al Horford would almost certainly have to be included for salary-match purposes, and it would make little sense for the Clippers to sign a player older that Blake (Griffin is 28, Al is 31) with a re-boot in progress. A Griffin-for-Horford swap would probably require a third team in the mix. In terms of the Clippers’ end of this deal, Horford makes a hair less than Griffin and he has two less years on his current deal. Los Angeles would surely ask Ainge for more in terms of draft capital (which the Celtics have). It would hinge only on how much of an upgrade Ainge thinks Griffin is over Horford. If it’s a Kyrie Irving – Isaiah Thomas sized difference, then we know the Celtics will pull the trigger. I do not see a "Kyrie Irving-Isaiah Thomas sized difference" here. This is one of the dilemmas of not having any larger-sized, expiring, bad contracts. They can be a paralyzing albatross-around-the-neck, but they come in handy in cases like this. A straight-up Blake-for-Al trade makes little sense for either team. A third team introduced to the discussion could change things. 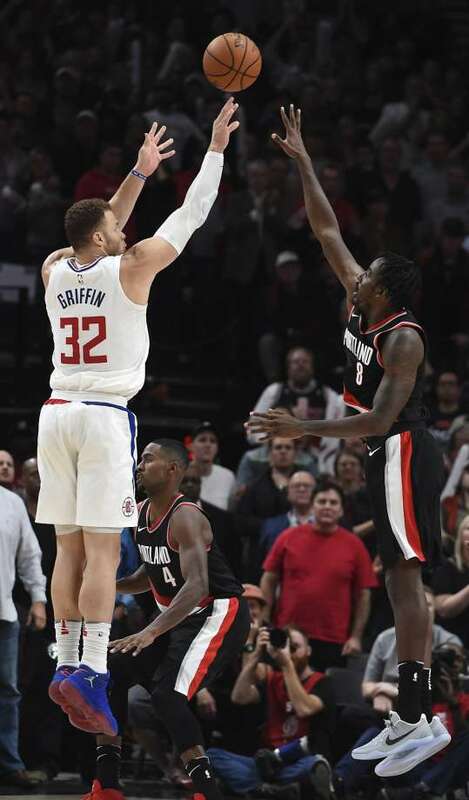 Though injury-prone, Griffin is an exciting, extremely-talented veteran who would help Boston's cause in the playoffs. Also, if the Clippers are truly going for a near-complete roster turnover, it would seem that DeAndre Jordan is not in Danny Ainge's sights, but Lou Williams might be. Three-plus weeks to go until the deadline. Stay tuned. Things are heating up.